Real Kakamora had no reply as Obed Ofea struck twice in the opening half of the game first from a shot provided by a lapse in defending and his second, just before the break from a header. With Harrison Mala on the bench it was Ofea’s moment to shine and he did excellently by giving KOSSA a healthy lead at the break. 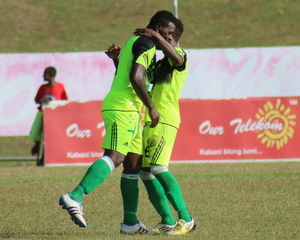 The second half saw KOSSA extend the score line to 4-0 as Mala, who came on for Larry Zama scored just before the fulltime whistle. Chris Tafoa then added the fourth goal in stoppage time from a free kick to finish the game memorably for KOSSA. The win takes KOSSA to third place but their stake on the position depends on the result of the West Honiara v Western United fixtures still to be played.